Get ready to conquer the wild west with your friends (or enemies). Rockstar Games has announced that the Red Dead Online beta will officially begin on November 27, 2018. It will be available for a select group of players at first, and then slowly expand as the week progresses. It is free for anyone who already owns Red Dead Redemption 2. Early adopters of Red Dead Redemption 2 will be rewarded with early access to the beta. Those who bought the Red Dead Redemption 2 Ultimate Edition will be the first to join the eagerly-anticipated online mode. Then, anyone who bought and played it on launch day, October 26th, can play starting November 28th. The beta will open up on November 29th for anyone who played between October 26th-29th. Finally, on November 30th, the beta will be available to all RDR2 players. 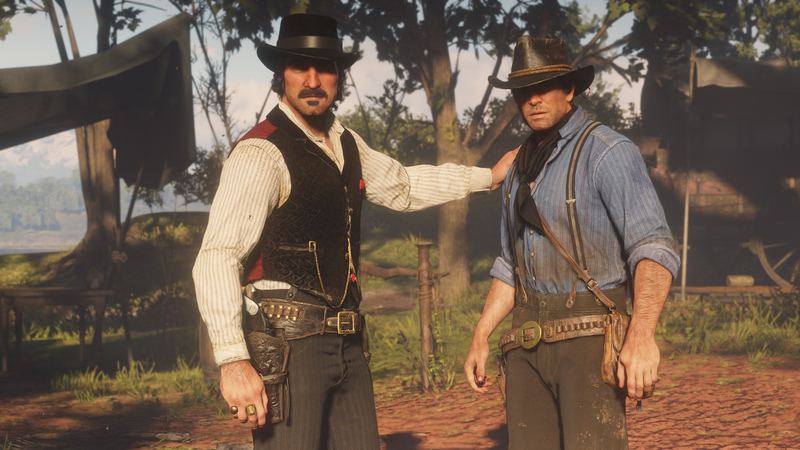 Building on the foundation of Red Dead Redemption 2, Red Dead Online is described as a “living online world.” There’s still a lot that’s not known about Red Dead Online, though you will take control of a custom character. You’ll be able to form a posse of up to eight players and do everything from hunting to robbing other gangs’ hideouts. We previously heard the Red Dead Online beta would begin towards the end of November. A launch seemed imminent when achievements for the standalone mode recently leaked. With the support that Grand Theft Auto Online has gotten, this is likely the start of a long, prosperous life for Red Dead Online. However, parent company Take-Two Interactive isn’t worried about it having too much much of an impact on GTA Online. Are you going to be trying out Red Dead Online? Let us know!